LAGAWE, IFUGAO – Representatives from Ifugao municipal local government units (MLGUs), Ifugao Police Provincial Office (IPPO) and municipal police stations (MPS) were convened by the Cordillera office of the National Economic and Development Authority (NEDA-CAR) during the Municipal IEC Speakers’ Training and Re-Tooling Workshop held last February 7, 2019. The training is the first phase of the Grassroots IEC Project implemented by the Cordillera Regional Development Council (RDC-CAR) which aims to increase regional autonomy awareness of stakeholders at the grassroots or barangay level. In the second phase, the trained municipal employees and barangay officials will lead the cascading of autonomy messages to barangay residents. Among the MLGUs present were Aguinaldo, Mayoyao and Hingyon which have started implementation of Phase 2 IECs and Alfonso Lista, Kiangan and Lamut which are expected to prepare project proposals for the conduct of autonomy information drives. Provincial-based IEC Speakers, William Mamanglo and Rosemarie Lindawan discussed the basic concepts, history, three core messages and salient features of regional autonomy while Ifugao State University (IFSU) Associate Professor Jeng Jeng Bolintao shared tips on communication and conveying the autonomy message to the grassroots. The participants were also oriented on the processes in accessing the autonomy IEC fund, the preparation of project proposals and the RDC-CAR’s stand which is “Autonomy towards Federalism”. Mr. Laurence Gahid, an IEC Speaker from Hingyon shared that the challenge for them as speakers is the present administration’s federalism advocacy as it has gained momentum through mass media and added confusion to Cordillerans saying “…while we convince our barangay people, let us also convince our leaders to vote or to convince everybody to vote YES [to Cordillera autonomy]”. With the continuous conduct of IEC activities, he remains optimistic that voters from Ifugao and all Cordillera provinces will vote yes in the next regional autonomy plebiscite. The RDC-CAR carries the same optimism as it continues to build alliance and lobby for support from national officials, and partner with local governments, regional line agencies, and civil society organizations in raising autonomy awareness. These should also come hand in hand with the commitment and support of local leaders. 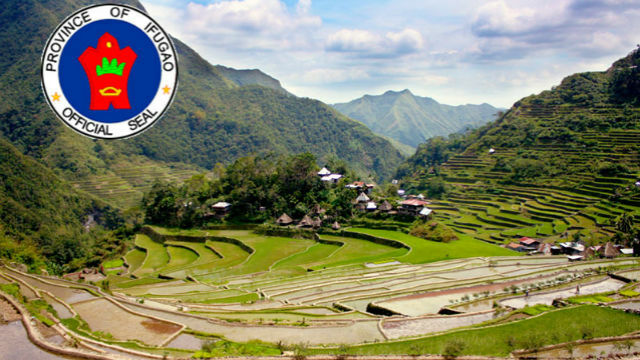 It will be recalled that in the January 30, 1990, Cordillera regional autonomy referendum, only the province of Ifugao voted yes. However, the Supreme Court decided that one province alone cannot constitute an autonomous region.